Our preparations for the hiking tour actually started a few months earlier. We realised that walking more than 100 kilometres was not something we had done many times before. Therefore, we made a shorter tour in the German Palatine Region, which gave us a hint of how fit and ready we were. 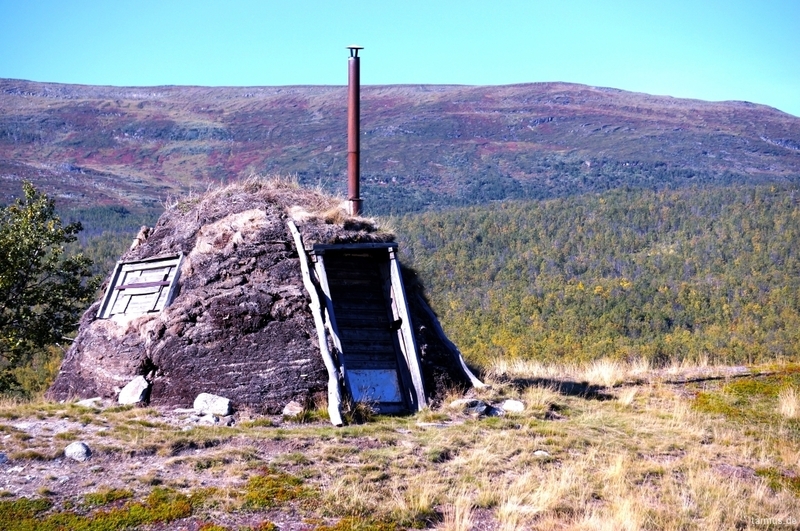 Then finally, on the 30th August 2014, by air from Germany to Stockholm, then further by air to Kiruna, we had reached Lappland, the northernmost province in Sweden. The weather was stunning and the anticipation high sitting in the airplane just some minutes before landing, with an almost cloud-free view of the nature scenery below. 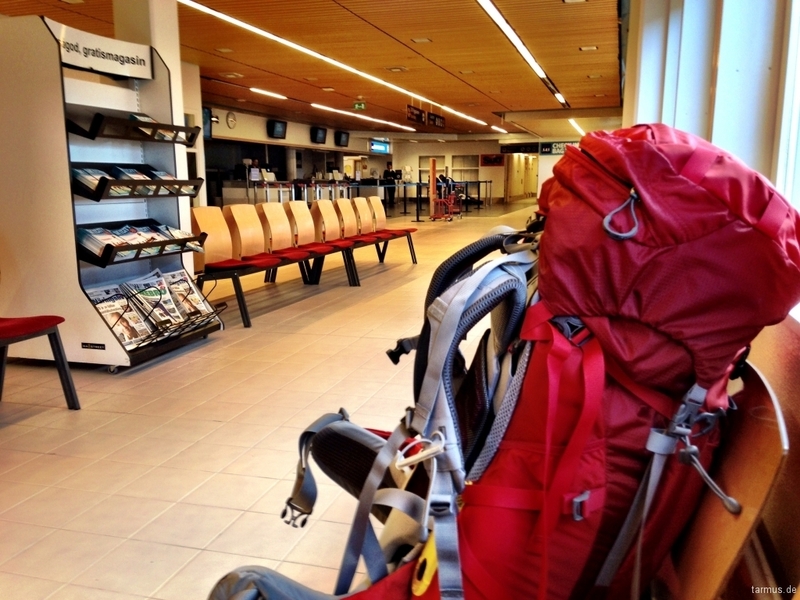 Kiruna Airport was not big, but with car rental possibilities, a restaurant and bus-services. 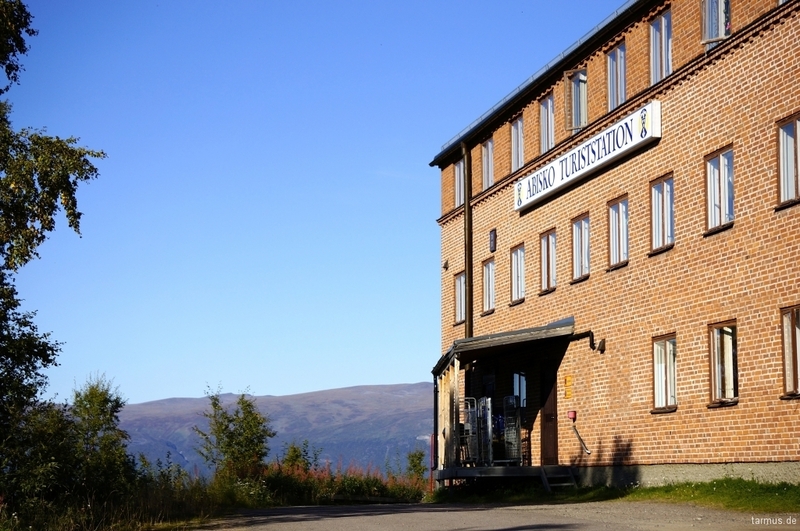 We waited for bus 91, which is the line operating between Kiruna Airport and the city of Narvik in Norway, with several stops in-between. 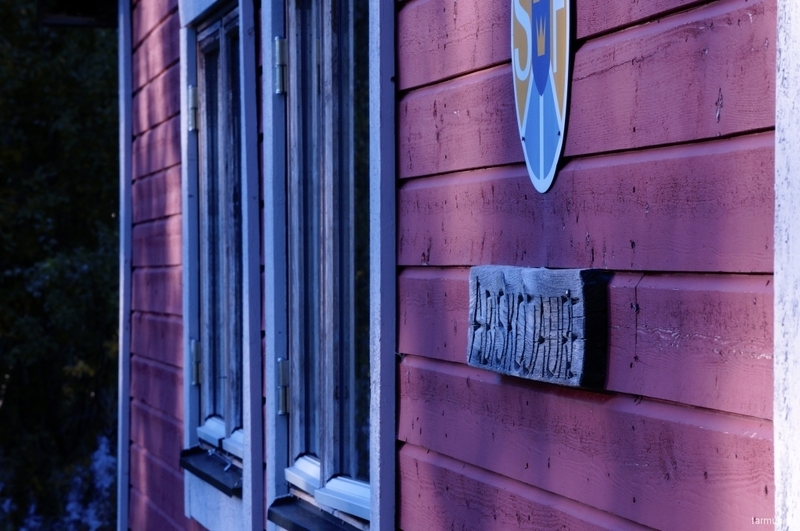 Our goal was Abisko Fjällstation (mountain station), the start (or for some, the end) of the Kungsleden trail. 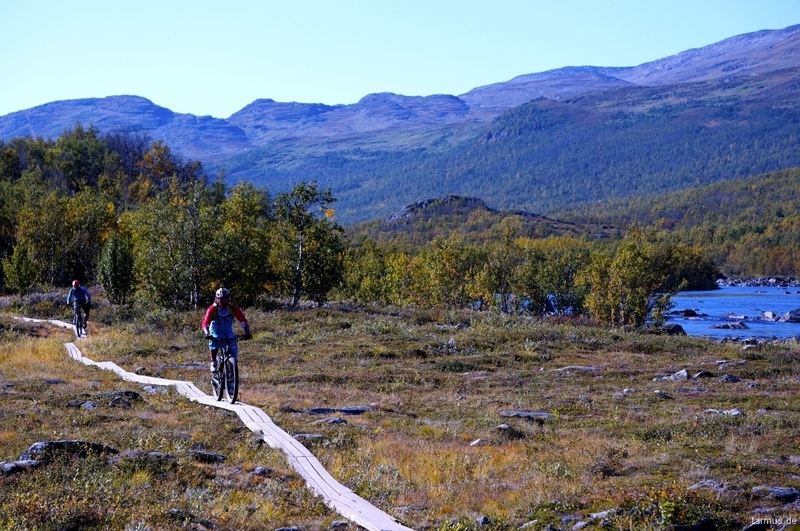 The ride took 1,5h and around 16:00 h we were in Abisko. Due to the fact that we had arrived pretty late in the afternoon, we decided not to start our hike just yet, but to tent on the camping- site in Abisko. 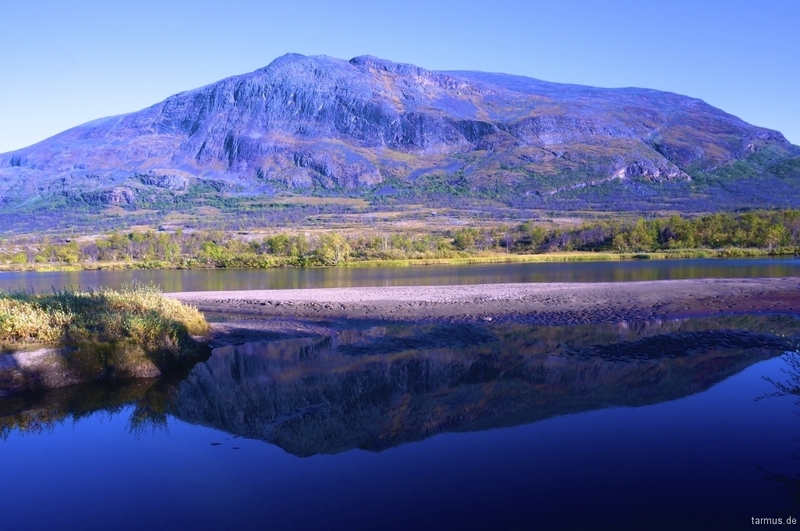 The Abisko Mountain Station is a complex with accommodation, restaurants and a shop. 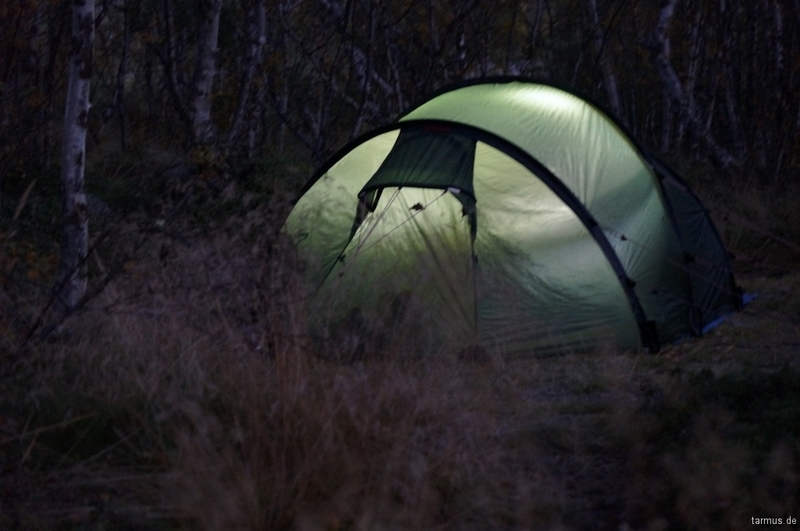 For a fee, one can use their tent camping- site with access to a self-service house with showers, toilettes and a kitchen. 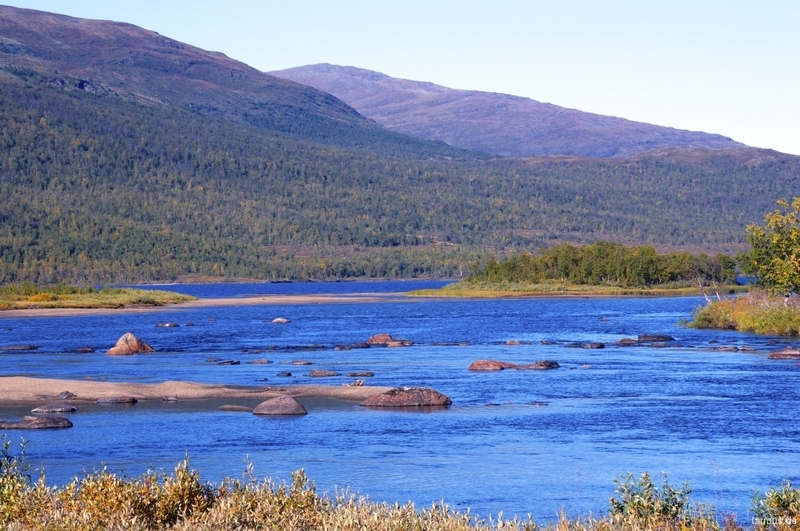 Abisko National Park (with its camping restrictions) stretches itself from Abisko, to a couple of kilometers south of Abiskojaure, our goal for the next day. We enjoyed the evening talking to other campers (even though it was very, very chilly) and hoping to catch some Aurora Borealis painting the night sky. Unfortunately, no lights were to be seen and we retired to our tent and the warmth of our sleeping bags. The next morning we were eager to start our hike. 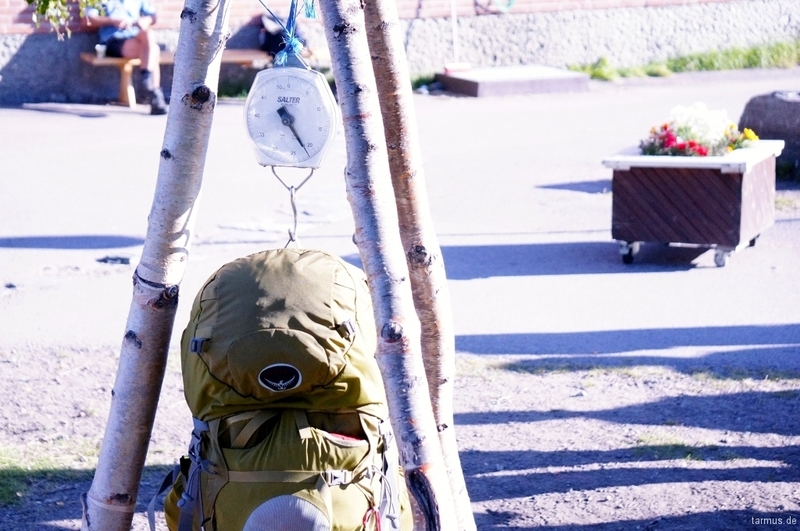 After packing our stuff back in the backpacks, we once again stopped by the Abisko Fjällstation main building and bought one liter of burning alcohol for our Trangia spirit burner. Just in front of the same building, we used the hanging weight-scale to see how heavy our backpacks were in the beginning of the tour. 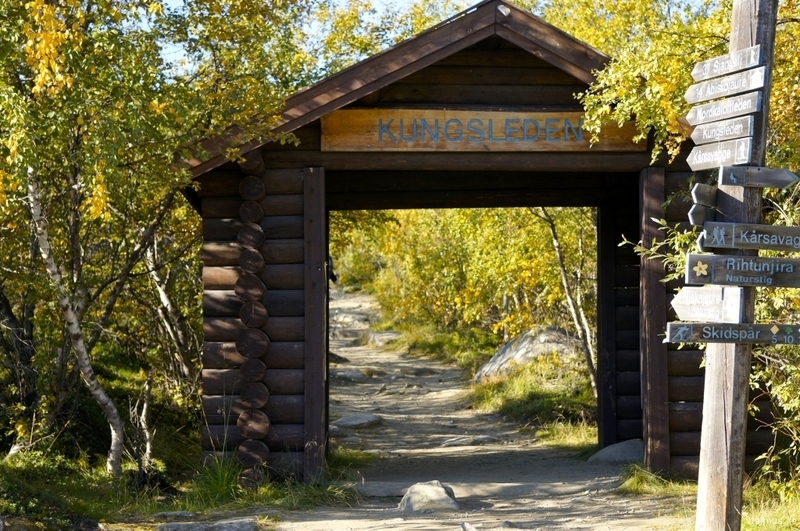 We crossed the main road and soon we came to the famous starting point, the “gate” of Kungsleden. The path was rocky and a rather sparse birch forest surrounded us. The noise of the E10 road and the railway disappeared in the background while sounds of water and wind became more intense. We had luck with the weather the whole day, sunshine and just a cool brise. 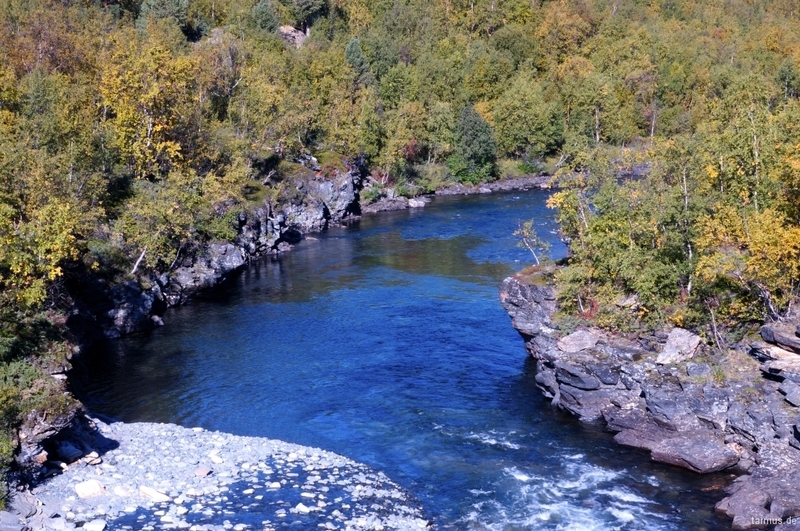 The Abiskojåkka river, with its canyon closest to Abisko, followed us during the entire way, all to the Abiskojaure mountain lake (Abiskojärvi). Soon after the bridge the campsite Nissonjohka apears (the only allowed campingplace between Abisko and Abiskojaure. Lake view close to Abiskojaure camping. At the end of the lake, we spotted the Abiskojaure campsite on the opposite side of the water. We crossed the river on a suspension bridge and soon the tent was up once more and we could rest and enjoy the sunset. 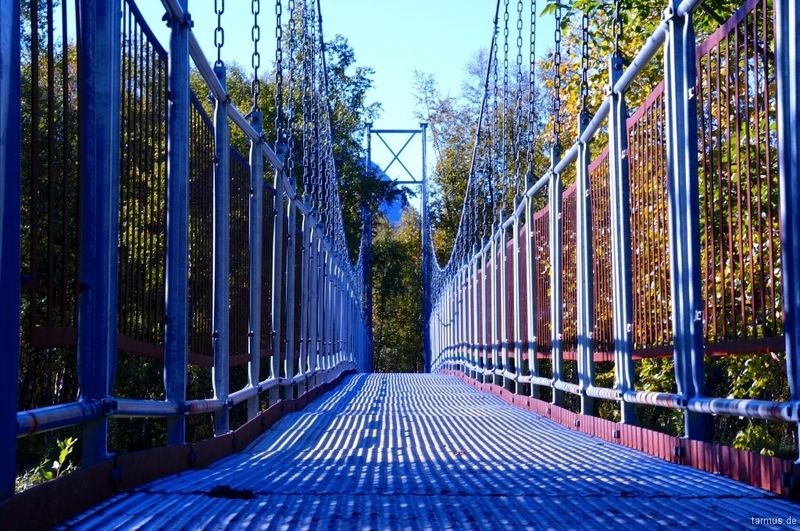 Many other hikers decide not to cross the bridge, but to continue walking ahead a couple of kilometres and so leaving the Abisko National Park. This means that one now can camp with no restrictions. View on the Abiskojaure lake taken in front of the cabins at the campsite. 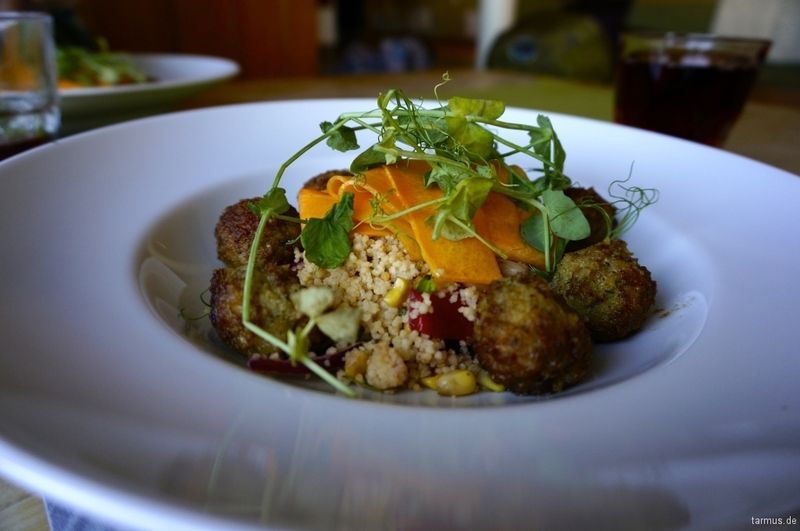 At Abiskojaure campsite a small shop offers food and other necessities. We bought a bag of chips as we felt like we had deserved it.